The Brexit deadline has been extended to autumn of 2019. European and British leaders hope to reach some kind of deal between then and now. Meanwhile, the British House of Commons has rejected every proposed Brexit deal. With a so-called “Hard Brexit” looming (Brexit without a deal), Prime Minister (PM) Theresa May is scrambling to find some resolution. Is there an easier way out? Perhaps, and this is tongue in cheek, Britain should simply resort to the time-honored tactic that has so often helped the island kingdom deal with continental Europe: declare war. In 2016, British voters went to the polls and voted (53%) to leave the European Union. Then-PM David Cameron resigned, elevating Theresa May to the leadership. In the months and years that followed, the PM negotiated in good faith with the European Union (EU) toward a reasonable and mutually agreeable deal to allow Britain to depart the EU. The European Union, on the other hand, has had no intention whatever of negotiating in good faith with the UK. The EU has insisted upon a deal that basically removes Britain from the EU’s political apparatus while continuing to hold the UK under most of the EU’s trade regulations. Essentially, the UK would lose its representation in the EU while still having to follow regulations now to be made by other European states. Obviously, this deal has not been well received in Parliament. Parliament has proven incapable of choosing a course on the matter. 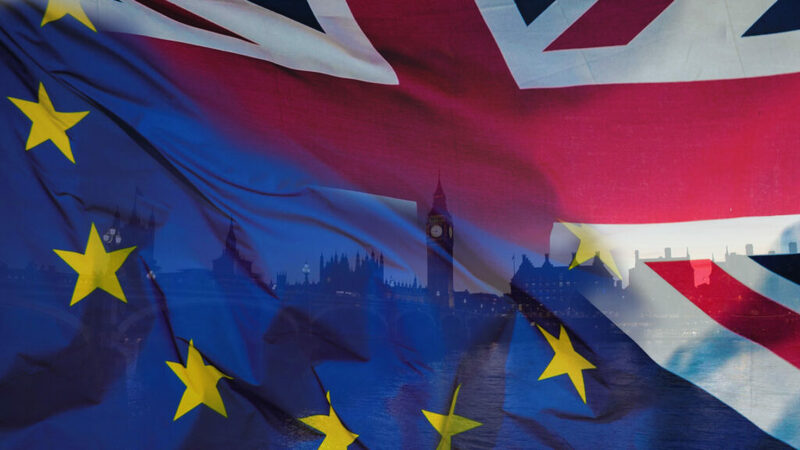 The House of Commons voted down four possible options: remaining in the European Common Market but not in the EU, retaining just the customs union, holding a new referendum, and even cancelling the whole Brexit. All of these failed. The PM’s negotiated plan also continues to fail fantastically. The European Union is adamant that they will not budge on their end or offer any concessions to the UK. Thus, an impasse holds the British economy hostage. Europeans are treating the United Kingdom with the kind of disrespect that has not been shown the country in centuries. Not since the Napoleonic Wars has the UK been so badly treated. With its economy held captive, its people steadfast and unwilling to accept enslavement to European masters, and the Europeans increasingly intransigent, the UK must do something quickly. What then, is the UK to do? If the Europeans do not want to budge, the UK can undergo Hard Brexit, that is without a deal, and face the consequences. If this eventuality comes to pass the British government will lower or eliminate tariffs on many products to boost foreign trade in the hopes of weathering the crisis. It will certainly hurt the British economy in the short term. European history overflows with wars and conflicts that began over far less serious matters. World War I, in the west at least, began because preordained battle plans could not be altered. Wars in Europe have been fought for conquest, due to insults from one leader to another, and over highly technical questions: when taking the sacrament does it transfigure into the actual flesh and blood of Jesus? One side said yes, the other, no; a long and bloody conflict ensued. Surely, this Brexit debacle qualifies! What exactly were the pretexts to the Crimean War? Or the War of Spanish Succession? The Seven Years War? In each case, nuanced changes in Europe’s geopolitical map caused balances of power to be unbalanced and someone got their knickers or lederhosen in a knot or their sans-culottes stepped upon. One state or another found it offensive enough to attack another. Under the circumstances, Brexit must qualify as a pretext to a superfluous European war! ~King Henry V in William Shakespeare’s eponymous play. Shakespeare, speaking for Henry V, seemed to be saying that if England did not go to war in France she would turn inward and Britons would fight amongst themselves. Obviously, that was more the concern of his own time in the late Tudor era with the Wars of the Roses in recent memory than when Henry V sailed so gallantly across the channel and into history at Agincourt. Today, as with Shakespeare’s time and in the words he so neatly placed in the former King’s mouth, Britons are at one another’s throats over Brexit when their anger should be turned outward. It is not in the sacred halls of Westminster Abby where their own government sits, but in the cold corridors of the Berlaymont in Brussels and the equally frigid Elysee and the Reichstag building that real threat to Britain lies (Berlaymont is the EU headquarters, the Elysee is the French Presidential palace, and the Reichstag in Berlin is the meeting place of the Bundestag – German Parliament). Perhaps it is time to declare the Brexit War. Wars can be fought in a number of ways, once the declaration is made, once Prime Minister May or another British leader, turns away from the failed path of the one-sided, unequal treaty being offered by the EU to a more direct assault upon the very EU who refuse to negotiate a fair and reasonable deal, the battle will begin. The United Kingdom holds many powerful weapons in its own arsenal, weapons now silent and wanting a target. Britain could call upon its allies to join in an embargo of the EU (or more politely: a trade war). There are many countries that are former dominions of the UK and former colonies that might join in such an effort. Britain’s cousins in the United States will certainly be sympathetic. President Trump has been at odds with the stuffy, elitist leaders of Europe for some time. Britain can take the path of a Hard Brexit and suffer the consequences while doing what they can to hurt the EU. The UK has weathered many storms in its history; this would certainly be a burden more easily borne than the bombing raids of the Luftwaffe during the Battle of Britain and later the V1 and V2 rocket attacks. European economies are fragile at best, how long could they hold fast? Suppose for a moment, again quite tongue in cheek, the UK were simply to threaten war with Europe if some of its demands were not met? The French would immediately execute their time-honored battle plan and surrender – why suffer the, at most, 46 days before defeat? As for Germany, one might remind the “Hun” what happened the last time they were at war with Britain. Spain could not even overcome the weather to invade Britain centuries ago when England was a no more than a divided but aspiring backwater. Italy, Austria, Hungary, Poland and many other EU states are relatively sympathetic to Britain’s cause, having somewhat Eurosceptic governments. This really is the question of the ability of Germany and France to bully the UK at will, and the UK’s willingness to tolerate it. The EU has become, in essence, a renewed German Empire, this time with France as its lackey. The other member states are merely vassals. 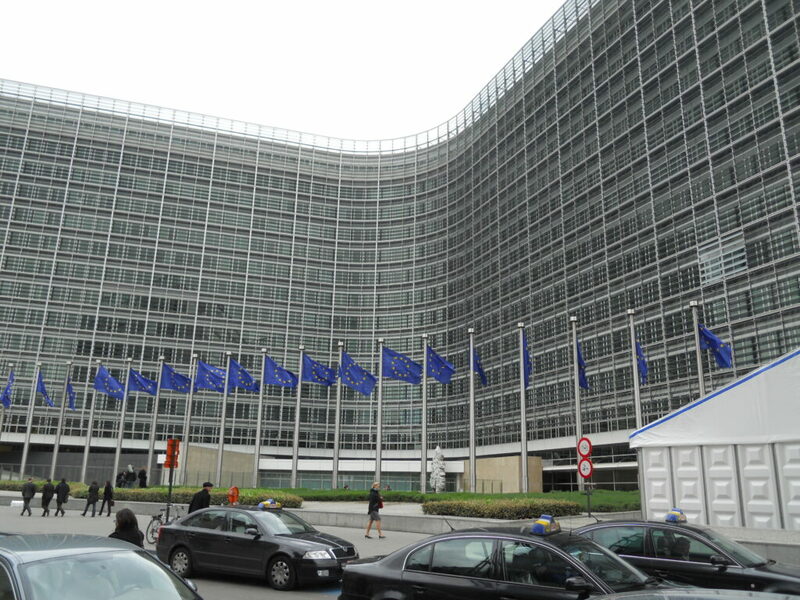 The EU is a Franco-Prussian Empire that seeks to accomplish with multinational institutions what Germany twice attempted with armies: Greater Germania. Britain wants out and Germany wants to punish her. It is time for Brits to begin, as I stated above, to look not at one another with enmity, but across the Channel. It is time for the British, pro- or anti-Brexit though they may be, to come together and hold the European Union accountable for its maltreatment of the United Kingdom. Most important of all, it is time for the Prime Minister to cease to bow before the idol of Europa and defend instead the cathedral of Britannia – it is time to stand up to European bullies. 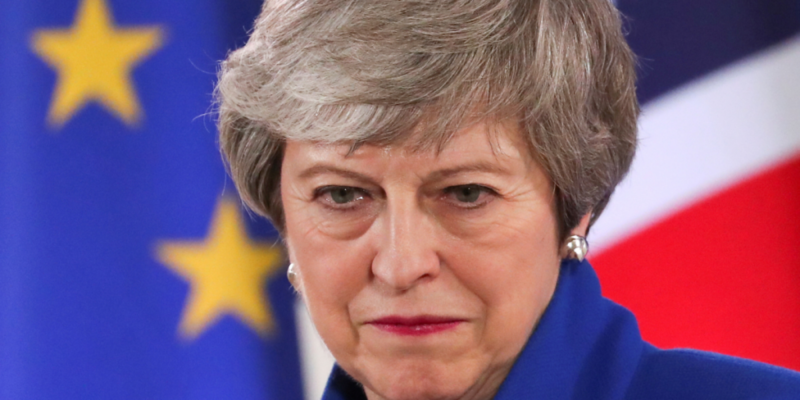 Theresa May has already stated she plans to resign as PM upon the approval of a Brexit deal. If she cannot make this stand now at this critical juncture, then perhaps a new leader should come forward to take up the mantle. It is time to embrace Hard Brexit and take the fight to the continent.